All applicants (including co-presenters) must create an individual account in the database to submit proposals and register for the conference. Click on “Create Account” on the upper right corner of your screen, and you will be prompted to provide your name, email, and a password. Each applicant may submit only one paper proposal – to one area – per year. However, proposals for creative writing pieces or discussion-based roundtables can be in addition to a traditional, scholarly paper proposal. The database only allows one submission per applicant, so you must contact conference staff to enter that second proposal into the database. After you create or log in to your account, you will be able to submit a proposal. On your account dashboard, under Conference/Proposal Options, click on “Submit/View” next to “Submit Proposal.” At the top of the screen, click on “Create New,” and you will be prompted to designate the area to which you are applying, the type of presentation you are proposing, and the title and abstract of your proposal. (NOTE: You are limited to 50 words for the title and 500 words for the abstract.) You will then be prompted to add additional presenters, if applicable. If there are no co-presenters, click submit. You will get a “success!” screen and a confirmation email that your proposal has been submitted. Can I submit a paper that I already published or presented? A proposal should be for original work that has not been published or presented elsewhere. 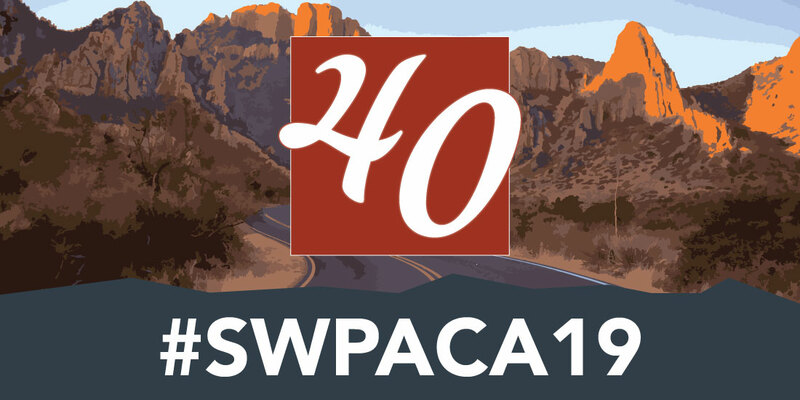 Can undergraduates apply to present at SWPACA? Yes. However, unless you are applying to co-present a paper with a professor, you will need to submit your proposal to our Undergraduate Presentations area. If you submit to another area, your paper will be moved to Undergraduate Presentations. How do I submit a panel proposal? Note that panels must include 3-4 papers/presentations. Panel proposals with less or more presentations will be integrated or split up into other panels. How do I submit a proposal for a roundtable? Submit a roundtable proposal as if it were a traditional paper proposal in the appropriate area. After submitting a proposal, you will receive an automated acknowledgment email. Please note that this is not the same as an acceptance. Area Chairs are responsible for vetting proposals per relevance, merit, the scholarly standards governing their fields, and various other factors. SWPACA practices rolling reviews of individual, panel, and roundtable proposals. Area Chairs try to review and accept or reject proposals within two weeks of receipt. However, given our Area Chairs’ differing teaching/administrative schedules, the wait time for conference acceptance/rejection decisions may exceed this two-week time frame. If you have not received an email notification regarding the status of your proposal after two weeks, we encourage you to contact the appropriate Area Chair directly via email. Find Area Chairs’ contact information at http://southwestpca.org/conference/call-for-papers/. If I submit a proposal, am I automatically registered for the conference? After you’ve clicked “Save,” go back to the main menu/dashboard, and under “Registration Options” next to “Current Orders,” you’ll see a link that will allow you to pay your registration online through PayPal. If you would like to pay by check or money transfer, choose “Pay Later,” and you can pay at the conference. If I need assistance with the proposal or registration process, who should I contact?